Christmas is the perfect time to get creative at home with projects you can create alone or share with your children, grandchildren, friends and family. 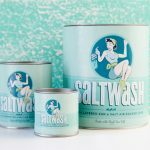 I thought it might be fun to revisit some of my favourite Facebook makes here on the blog and to explain the techniques, colours and products used. Many of you may know I have a thing for typography whether it’s using handmade stencils or hand lettering I really enjoy bringing words into my work. 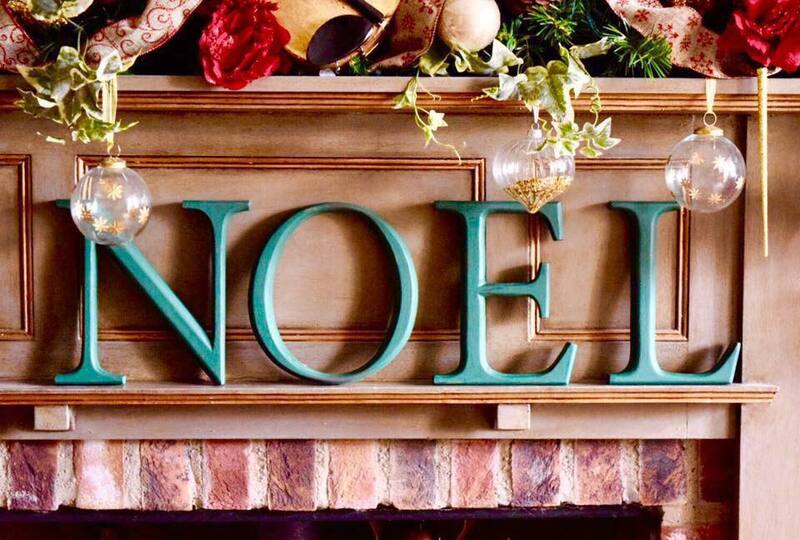 What could be better than spelling out some festive phrases? I bought these letter years ago from TK Maxx and they were originally red. 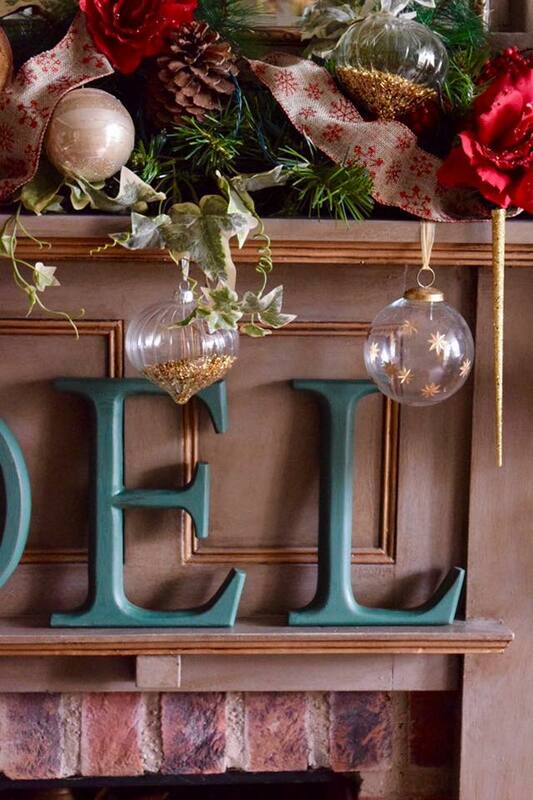 They were given a new lease of life by being painted all over using Florence by Annie Sloan. For me it’s a twist on traditional green with a little more elegance than a forest shade but you could use Provence or Amsterdam Green if you want to keep it super traditional. 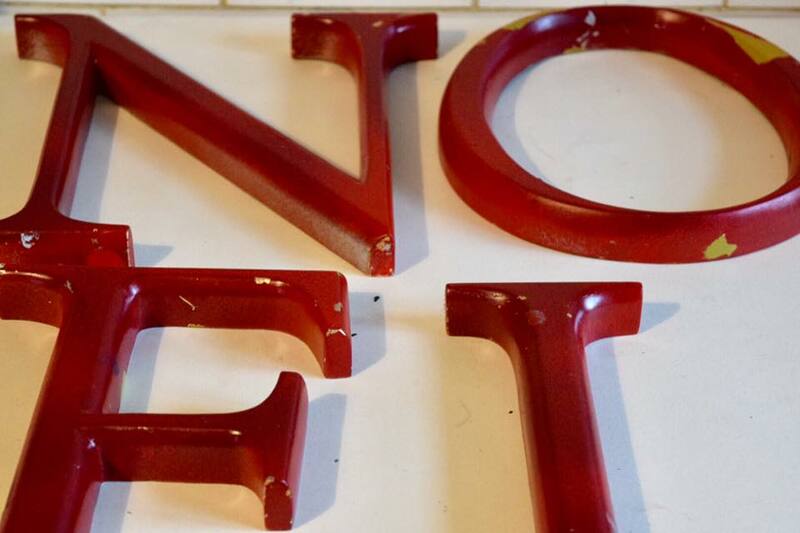 If you’re over painting plastic letters you may need to lightly key the surface with sandpaper. If you’re working with MDF letters remember they absorb a lot of paint and you might want to start with a layer of PVA or similar to save on paint. Christmas for me, is without doubt, as the song says a time ‘for hating and fighting to cease’. It is a time of forgiveness and togetherness, a time of joy and friendship so you could equally create this festive painting project spelling out words like JOY, LOVE, PEACE and HOPE. If you’ve done something similar I would love to see it, please do share on my page or message me. 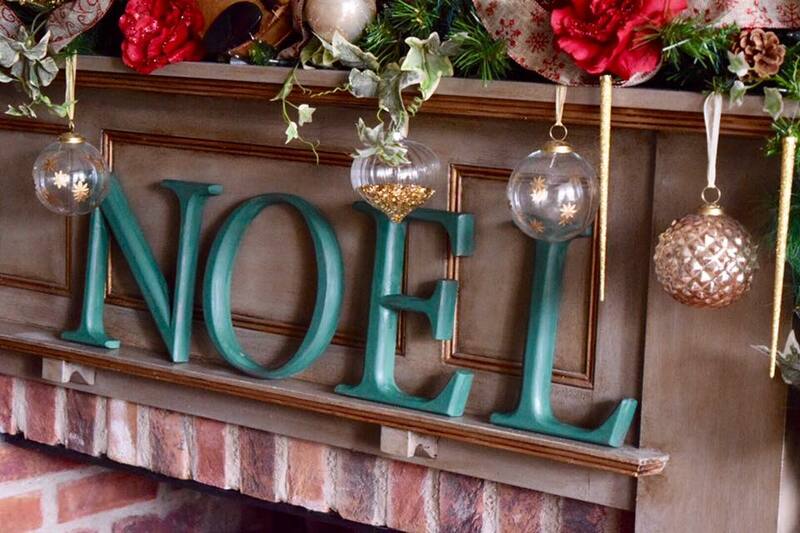 Once painted with a couple of coats and thoroughly dry I clear waxed using a wax brush and buffed using a soft lint free cloth to bring a natural sheen which serves a highlights when the candlelight or Christmas tree lights catches the letters exactly where they should be. As you can see I’m very lucky to have this shelf on the large fireplace in my lounge creating the perfect resting place for this festive greeting. If I was doing this project again, I would definitely consider adding Saltwash to the mix to add some texture to my letters. I really like the idea of creating some smooth and some textured letters to see what that would look like. 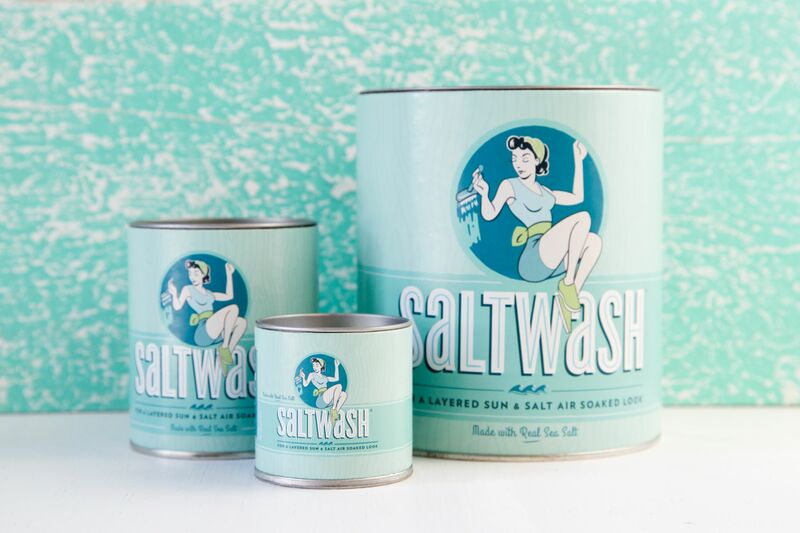 If you’re new to Saltwash do search ‘Saltwash’ on my blog to look over all my previous posts or try my tutorial. Please let me know about your favourite festive makes. If you’re as interested as I am in expanding your festive repertoire don’t forget my online courses as well as Jennifer Allwood’s Paint Finish of the Month club as a great source of inspiration.